Build your business here with 63,000 vehicles per day passing by. 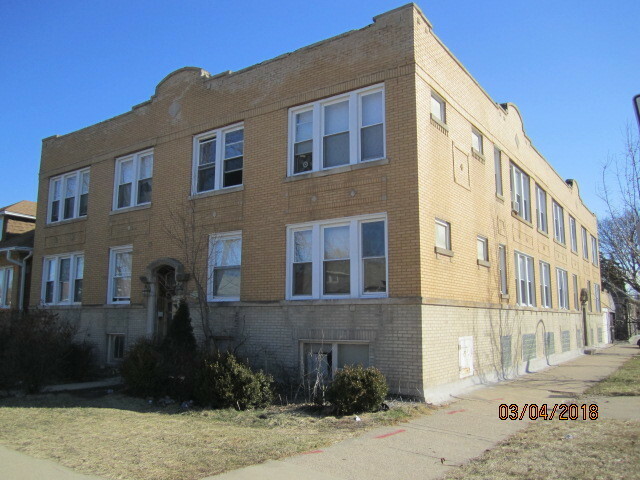 Available Court Ordered-Condo Deconversion Building ALL 8 units sold as package for your "Highest and Best" offer; DO YOUR DUE-DILIGENCE. Bids are being accepted and submitted for the Presiding Judge final acceptance. Interested parties should complete the entire Bid Package and where applicable your contractor's narrative can be found under Additional Doc's. The turnaround decision of the Judge takes at least 3-5 months. You are encouraged to visit for a private viewing. CASH OR REHAB LOANS ONLY! ALL offers are due by May 11, 2018, No Exceptions. New rehabbed 6 unit with spacious rooms and living room and dinner, 3-2 bedrooms and 3-3 bedroom, 1st floor has the possibly to be duplex to bring in more income, 4 car garage, this building sits on a nice block, it generates great income and cha approved, close to shopping center and public transportation, so what are you waiting on??? Live the Dream in Roscoe Village! This home leads with noticeably larger room sizes, THREE outdoor spaces to enjoy and a Master Suite retreat. The floor to ceiling windows drench the main living area and the separate dining space with natural light, both leading out to the front terrace. The Living Room offers a gas/wood burning fireplace to cozy up to and this pristine kitchen features all stainless steel appliances with granite counter tops and a kitchen pantry. The Master Suite, also flooded with light and plenty of space for a king sized bed. The Master Bath has dual showers, double sinks and a Jacuzzi bathtub. Three large private outdoor spaces include a private rooftop deck hosting skyline views, side-by-side washer & dryer in a quaint elevator building with an extra large storage cage. Garage parking included and all just steps from the best that this charming and sought after neighborhood has to offer. Best Kept Secret in River North! Fantastic, centrally located Ontario Place steps to Michigan Ave! LARGE (1400SF) 2 bed, 2 bath w/ sensational SOUTHWEST exposure offered from this high floor CORNER wonderland. LOADED with light & upgrades! Breathtaking sunsets from floor-to-ceiling windows all equipped w/ rollerblinds. Sunshine galore on your south-facing 150' covered private balcony. RARE in-unit W/D for easy lifestyle! With real solid hand-scraped oak flooring throughout, this residence is inviting and turn-key. Open & newly renovated kitchen w/ white cabinets, Caesarstone quartz counters, a chic backsplash w/ all SS appliances. Expansive living room w/ designated dining area to accommodate guests! All solid doors, new fixtures & NEST! Down the gallery hall find two well-appointed bedrooms. Master suite w/ custom built walk-in closet & two pocket doors for classy separation to attached bath! Deeded garage parking xtra $35k. Block to Trader Joes, Whole Foods, restaurants & MORE! Come and make fantastic northwest corner two bedroom/two bathroom unit yours today. Master bathroom has just been completely remodeled with modern finishes. It does not get any more of a central location than this with some of the greatest restaurants and shopping that this city has to offer right outside your front door including Gibson's, Maple & Ash, Tavern on Rush, Carmine's and more. The unit is laid out as a split floor plan perfect for any family or roommates and has excellent closet and storage space and also features a balcony to enjoy. The building is full amenity with 24 hr doorman, large outdoor pool, exercise room, conference room, in building restaurants, high definition DirecTV & much more. Farm land, recreational property or large acreage to build a secluded retreat. You choose. 70 rolling acres in a convenient location near Rt. 47 and Rt. 176 south of Woodstock. Land is currently about half tillable farmland with part of an overgrown Christmas tree farm and some nursery stock. This gives you a buffer for privacy or can be cleared to create more tillable acreage. There is a pond and wetlands. The rolling terrain makes for a great recreational piece for 4 wheeling. The corn, trees and pond make it an excellent place for hunting. This large piece can suit many different needs. It is zoned A-1, agriculture in unincorporated McHenry County. It is zoned for one single family residence with a Woodstock mailing address. Horses are allowed.